This is the last of my photos from sub Saharan Africa. I’d like to say that I stalked this fellow in the wild to get up good and close before taking this picture, but that’s not the case. I was on a walking tour with two lions. Shortly before arriving we were told that they were on the verge of being too old to walk with people as they were reaching maturity and would become aggressive. They were going to be released into the wild in an effort to repopulate the area at the end of the season. I’m on my way back to Marrakech for a quick two night stop before attending meetings in London. 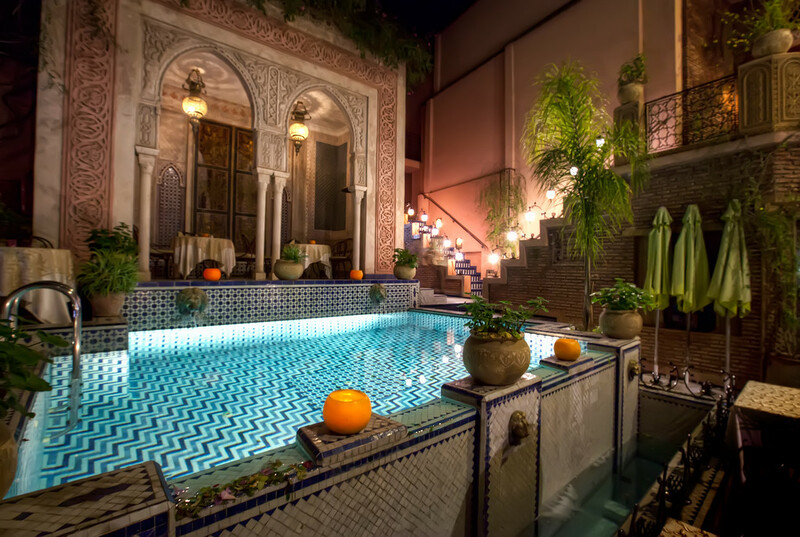 We’re making a return to the beautiful Palais Sebban so I thought it was fitting to post a photo of the riad. This trip I’ll be taking some friends on the same amazing food tour we went on last time as well as making a quick morning trip to go camel trekking in the foothills of the Atlas mountains. It involves two hours on the back of a camel, which should be interesting. I’ve wanted to do a multi-day trip through the desert by camel for a while now. This will be a good test of my willingness to spend extended periods of time on top of a camel. Shortly before stumbling upon the store full of hammered metal lamps featured yesterday, I found this guy working on making drums… except on closer inspection I realised that the things he’s making have nothing to do with the drums behind him. I never managed to find what he was actually making. They’re like little tiny table legs. There was nothing of the sort in any shops nearby. 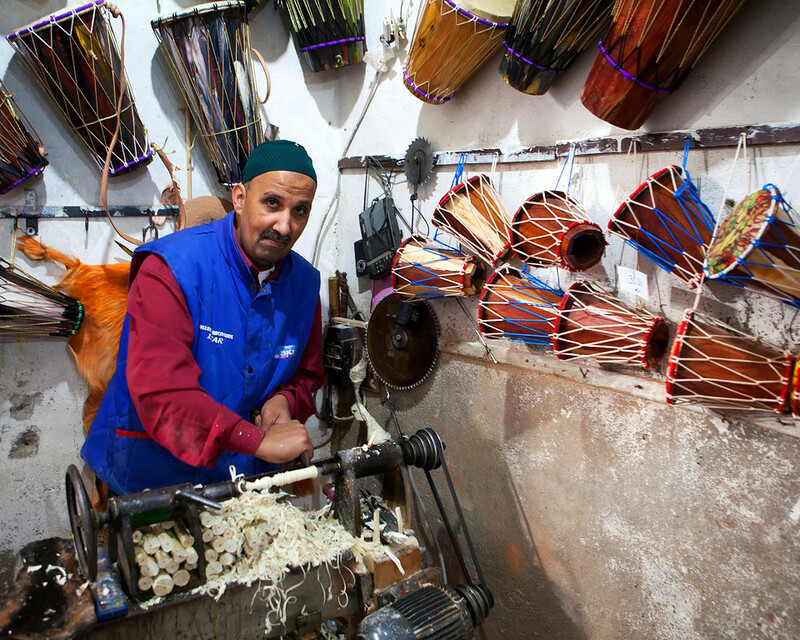 Walking through the markets in Marrakech is a disorientating experience, but it’s an interesting place to get lost. I didn’t get many pictures while in there as there’s just so much stuff it’s difficult to get it all in. This shop selling hammered metal lamps inspired me though and I spent quite a while trying to find a decent angle. 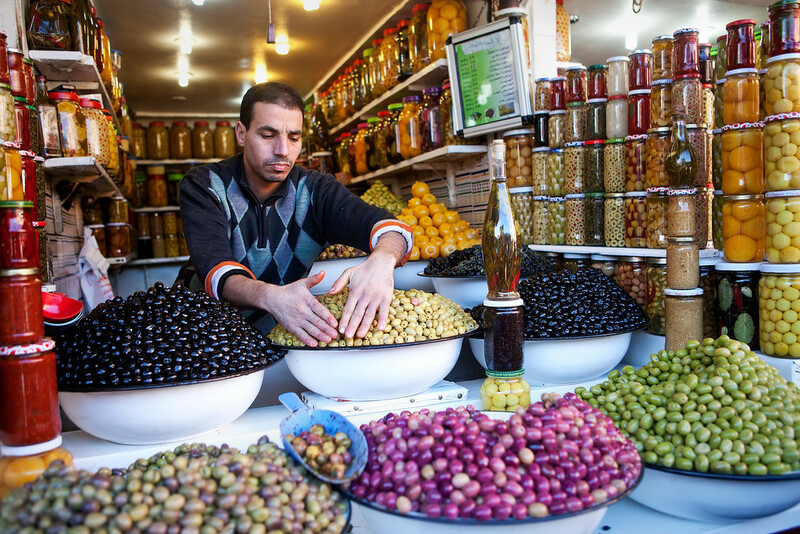 I went on a really good food tour in Marrakech. We tried all sorts of food from lamb cooked underground for hours to amazing sardine-ball sandwiches. As a bonus we also stopped off at some interesting spots, including the village bakery, where people would bring food in to be baked in the oven to be picked up later in the day. Our second stop was at an olive stand, we were allowed to just eat all the olives that we wanted off the stall. The seller seemed to have an endless supply of different types of olives. Our journey to Marrakech involved a number of stages. We flew overnight from Bermuda to London, where we had a six hour layover, before a four hour flight to Marrakech. For some reasons British Airway didn’t see fit to provide any movies or reclining seats for a 4 hour flight, very strange. Upon arrival, we found ourselves a taxi. Having read that the taxis have a tendency to take advantage of newly arrive tourists, we were careful to make sure we agreed a price before getting in. Of course, as soon as we pulled off that price increased, but it was still within what we’d agreed was an acceptable range. 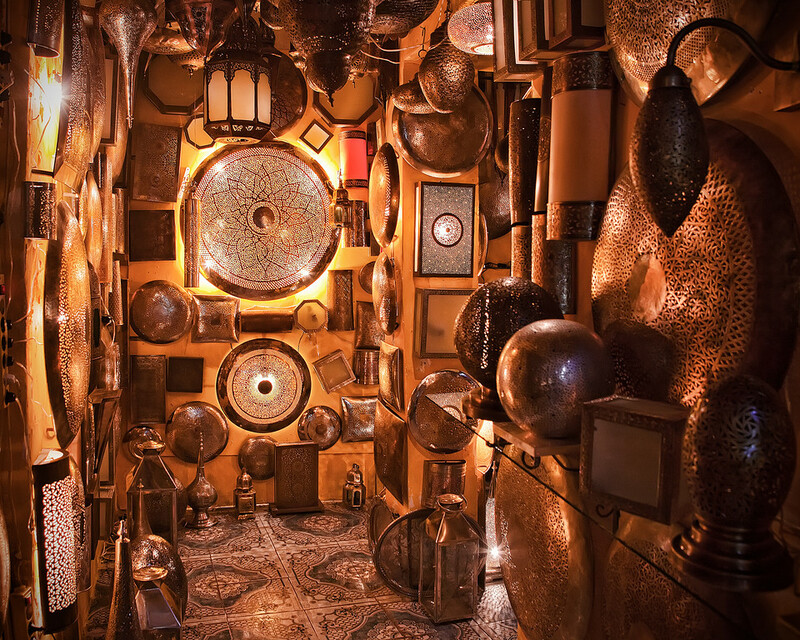 Now, the thing about staying in the Medina of Marrakech is that it’s highly unlikely that your taxi will be able to drop you at your doorstep. As a result, you find yourself being dropped off with little idea of how far away your hotel is, or with any idea of how to get there. Fortunately, it doesn’t take long for a smiling man with a cart to appear who will carry your bags for a fee. They also know all of the hotels in the area and almost before you know what’s going on, you’re following this complete stranger you’ve given your bags to down weaving, narrowing alleyways. Even once we thought we’d arrived, we walked through a door with the Palais Sebban written on it and were faced with a tunnel that still had multiple other addresses branching off of it. After snaking around a few more times, we found the reception. 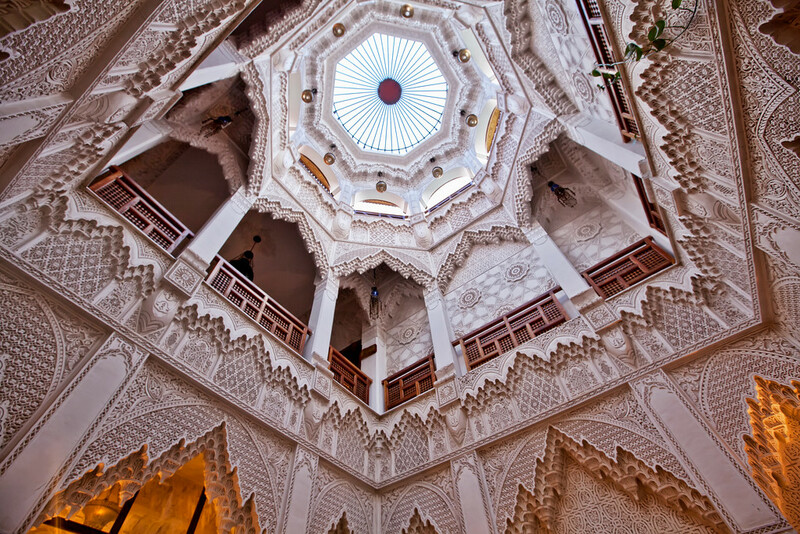 Here we were greeted with mint tea and one of the most amazing lobbies I’ve ever seen. Below, you can see what we saw when we looked up. 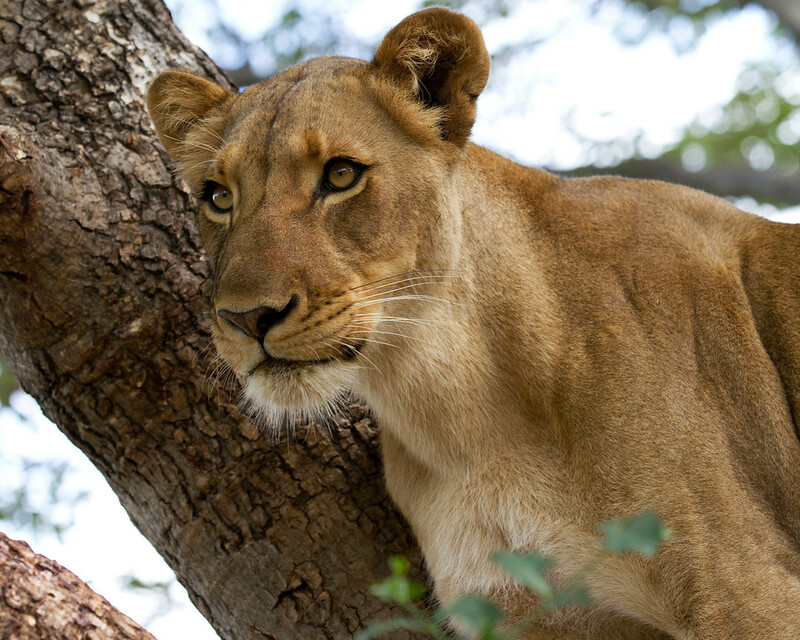 So, as it turns out, I had one more photo of the female lion from my lion walk in Zambia left. I’m pretty sure this is the last one though. She looks pretty intense in this photo because one of the handlers was running back and forth to peek her interest. I’m not sure I’d recommend that myself. It kept things interesting though. I’m going to take a long trip in Sept/Oct. 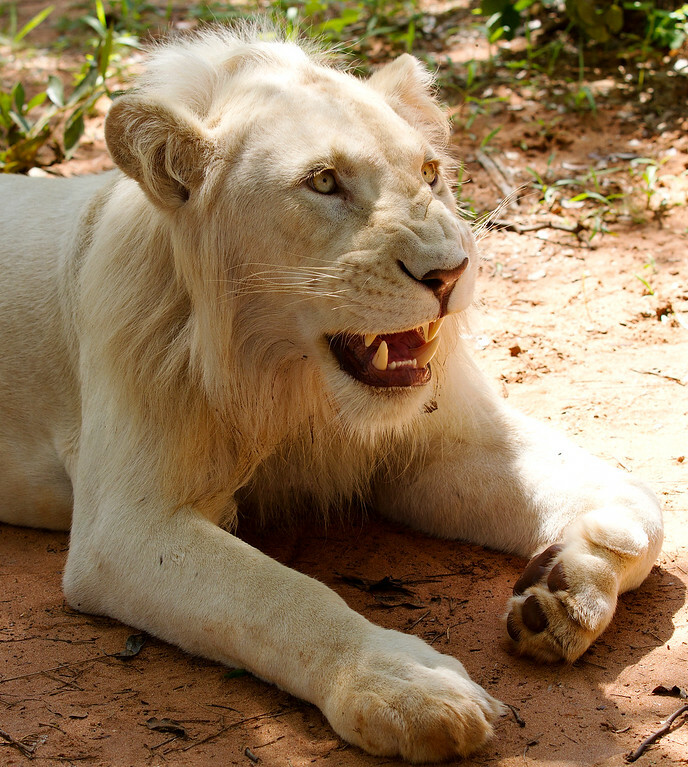 At the moment the plan is South East Asia… but right now I want to go take more photos of lions. It’s late, so I picked a picture that speaks for itself… to find out more on this pic, click here. Once you get over the initial holy-crap-there’s-an-unrestrained-lion-five-feet-away-from-me moment you kind of relax into enjoying your experience walking with lions. 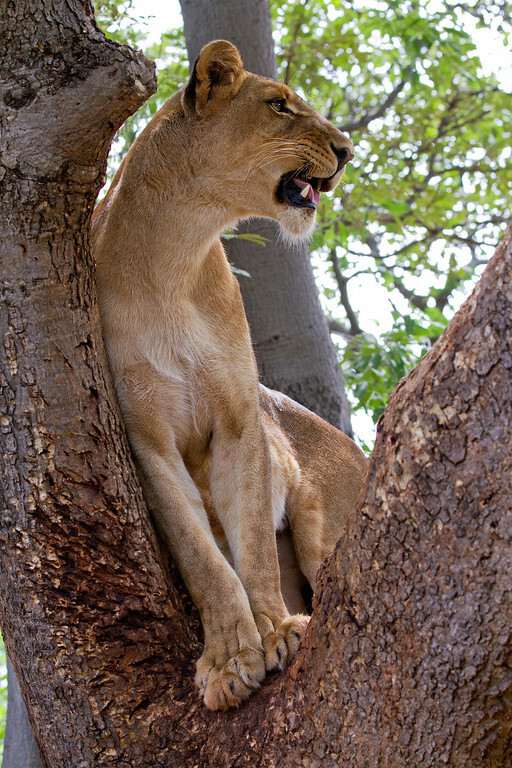 Then, the female decides to suddenly burst on ahead and climb 10 feet up into a tree to look down on you and you feel your adrenaline spike again. If you’re wondering what she’s staring at so intensely, it’s my travel buddy. 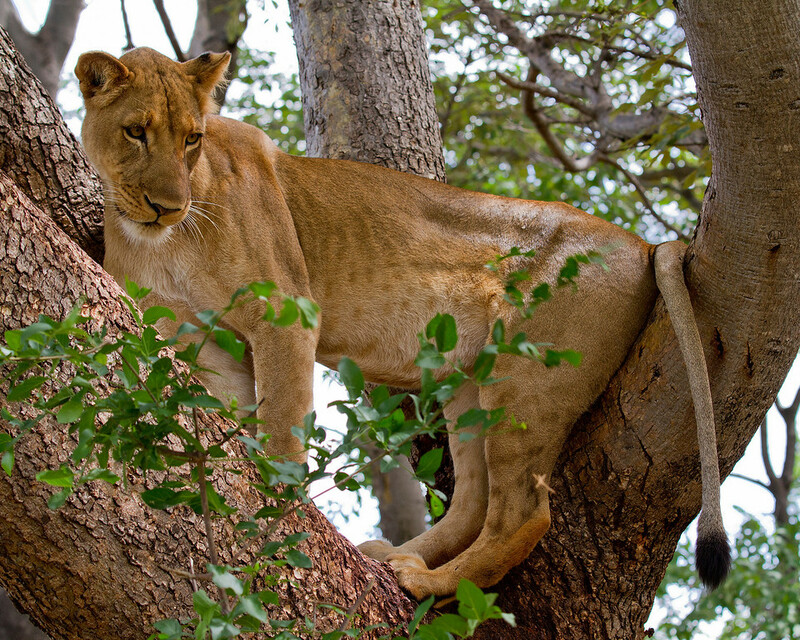 She works with large animals for a living, but that didn’t stop her from turning her back on the lion up the tree to pose for a picture directly below it. I turned my back on a large cat I was a handler for once, a friendly puma called Gato, and wound up with my hip in its mouth. Thankfully, it only applied light pressure. So, watching my friend turn her back on a freaking lion made me nervous. The guide was fine with it though. He was the one holding her camera. And yes, this is the same pretty lion I posted a close-up of here. 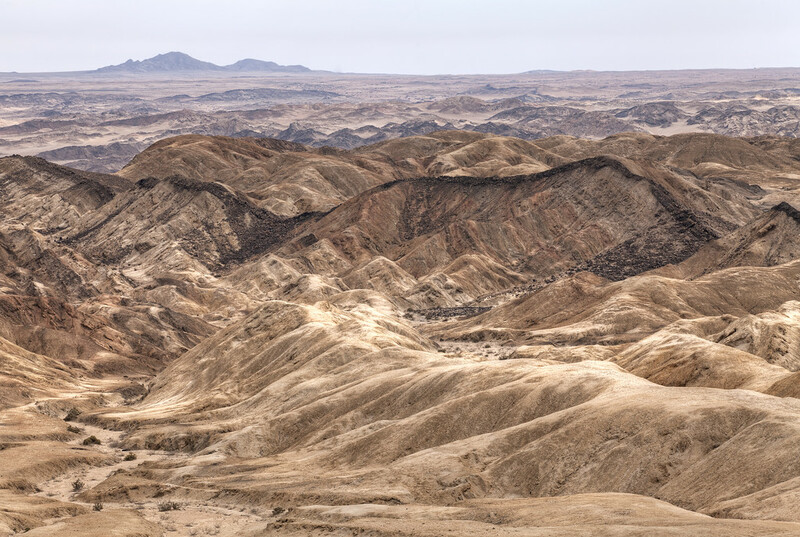 This particularly inhospitable, barren section of Namibia is called the Lunar Landscape, and I think you can see why.